This calming treatment toner effectively tones the skin and helps maintain the pH level, without the use of alcohol or other harsh detergents. Extracts of apricot, quillja wood and sweet betty flower soothe and harmonize the skin, leaving a fresh and radiant complexion. Calms the skin and helps reduce irritation. Can be used after cleansing to balance pH levels or any time to hydrate the skin. 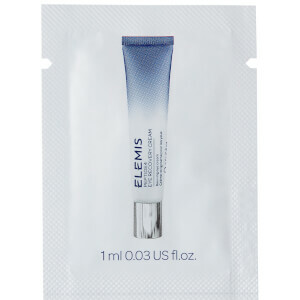 Helps re-hydrate the skin and diminish the appearance of pores. Use both morning and night apply after cleansing. Aqua/Water/Eau, Glycerin, Polysorbate 20, Methyl Gluceth-20, Chlorphenesin, Disodium EDTA, Saponins, Fragrance (Parfum), Tromethamine, Methylisothiazolinone, Saponaria Officinalis Leaf/Root Extract, Prunus Armeniaca Fruit Extract, Benzyl Benzoate, Linalool, Hexyl Cinnamal, Hydroxycitronellal, Butylphenyl Methylpropional Yellow 6 (CI 15985).